If you’ve ever been under the hood of a Duramax powered truck or van, you’ll know that the injectors from 2004 – 2010 look similar on the outside, but are different on the inside – built and calibrated for each specific model. Have you come across a situation where the injector will not plug into the wiring harness? We’ve seen issues where GM isn’t providing consistent engine identification info, and we find a mismatch between the injector provided and the V.I.N. identified model year of the truck/van. The engineers at Bosch have an easy way to prevent mismatched injector problems. The answer is to examine the injector connector ‘keys’ to help correctly identify the year and model of engine you are working on. 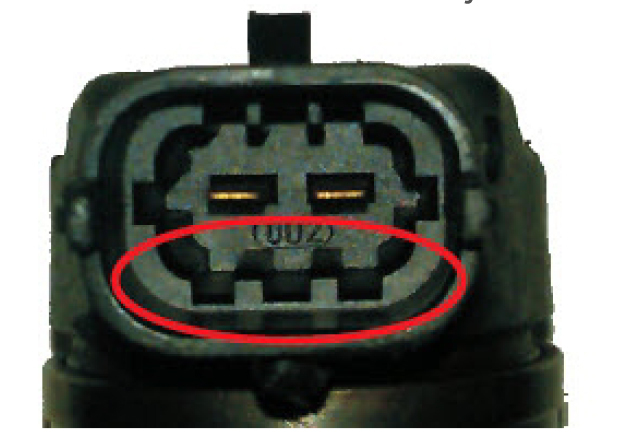 The ‘LLY’ engine (2004 – 2005) is the first year to use connector ‘keys’ (note the circled portion). You can also check the 8th digit of the V.I.N. to confirm it is a ‘2’ or a ‘3’. 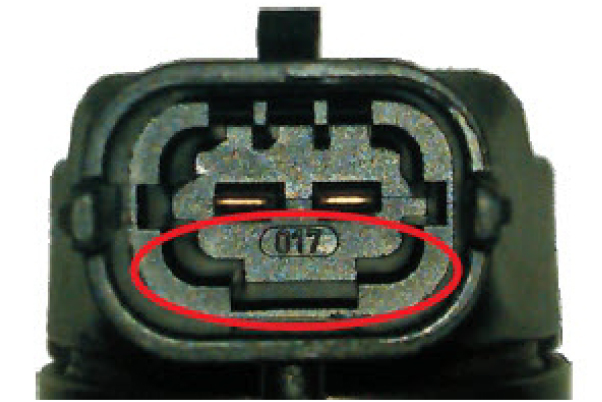 The ‘LBZ’ engine (2006 – 2007) is identified with the connector key as above. You can also check the 8th digit of the V.I.N. to confirm it is a ‘D’. 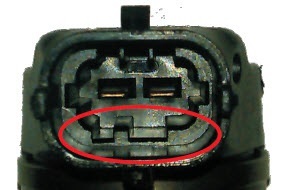 The ‘LMM’ engine (2007.5 – 2010) is identified with the above connector key. You can also check the 8th digit of the V.I.N. to confirm it is a ‘6’.